Built 1870 by Jospi Slade. Opened as "Teatro Mazzoleni", named in honour of the sponsor Francesco Mazzoleni (the grandfather of soprano Ester Mazzoleni). War damages in 1991. 1996-2001 restorations. 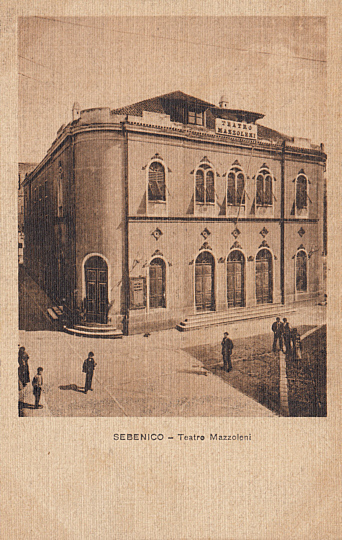 Front Text: "Sebenico - Teatro Mazzoleni"